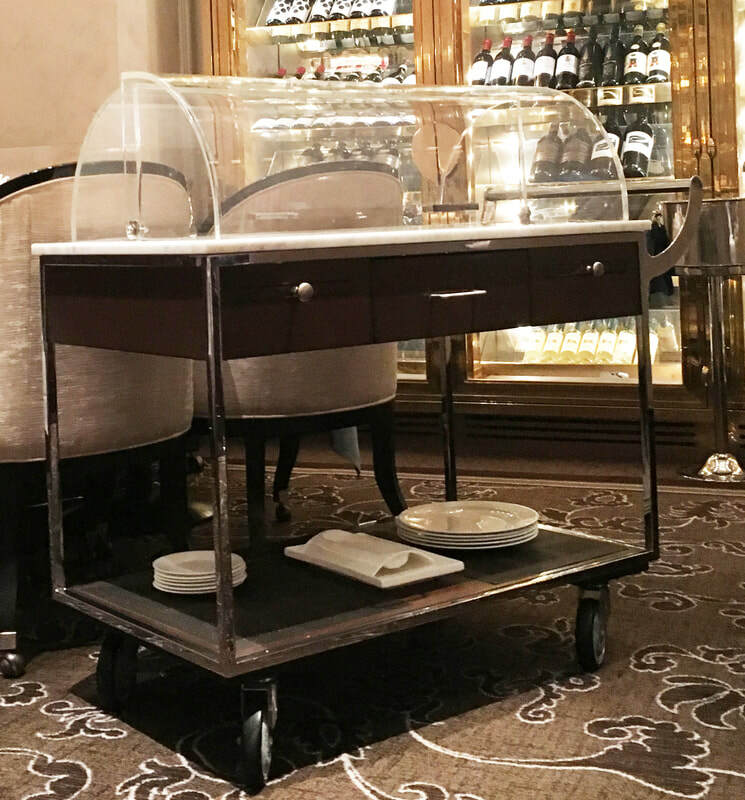 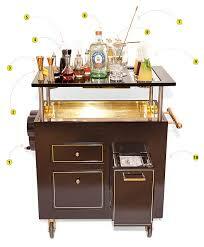 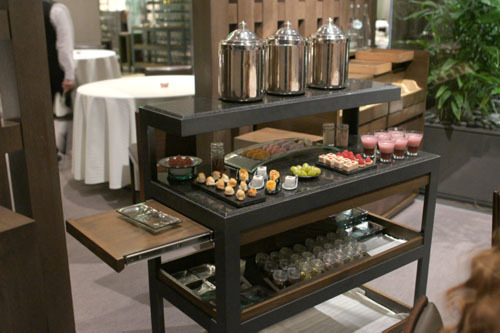 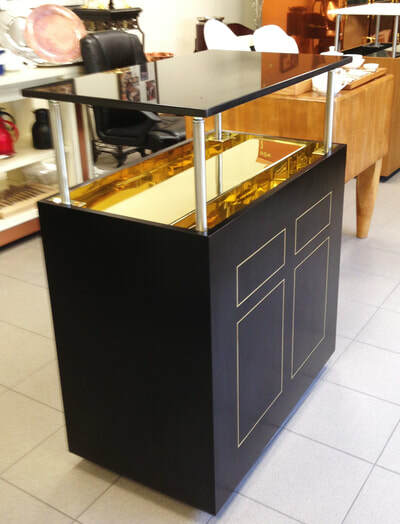 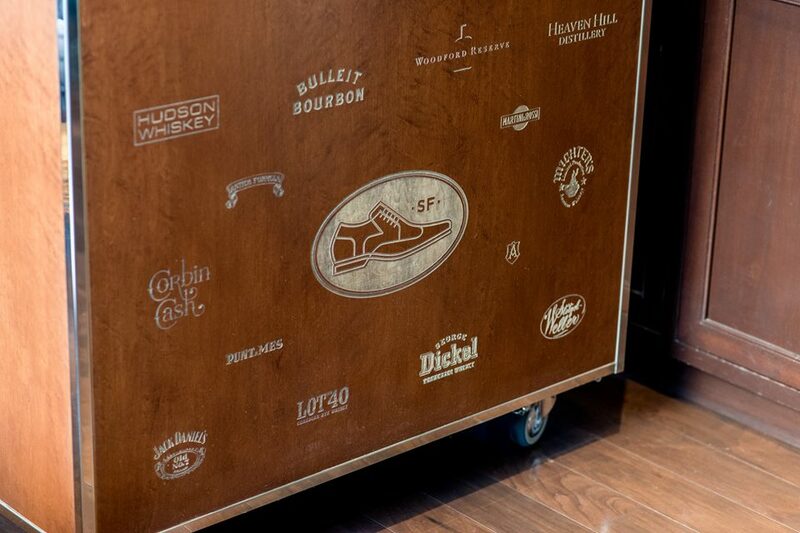 We specialize in high-quality, custom made service carts that reflect the epitome of modern excellence. 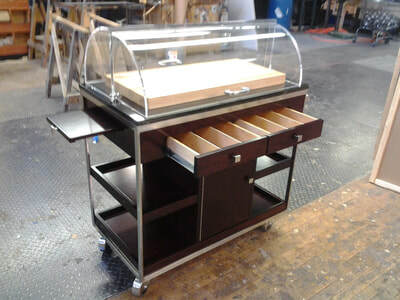 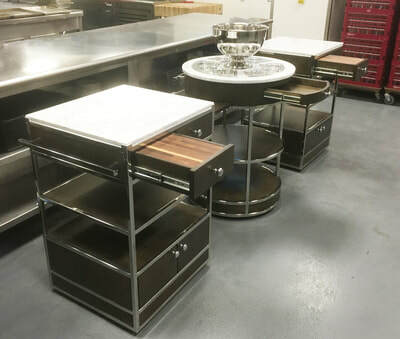 Because we fabricate all of our carts ourselves, the end result is a product that represents our clients' unique vision. 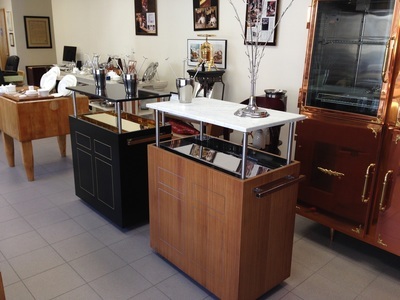 utilizing those principles to create exciting and functional designs for years to come. 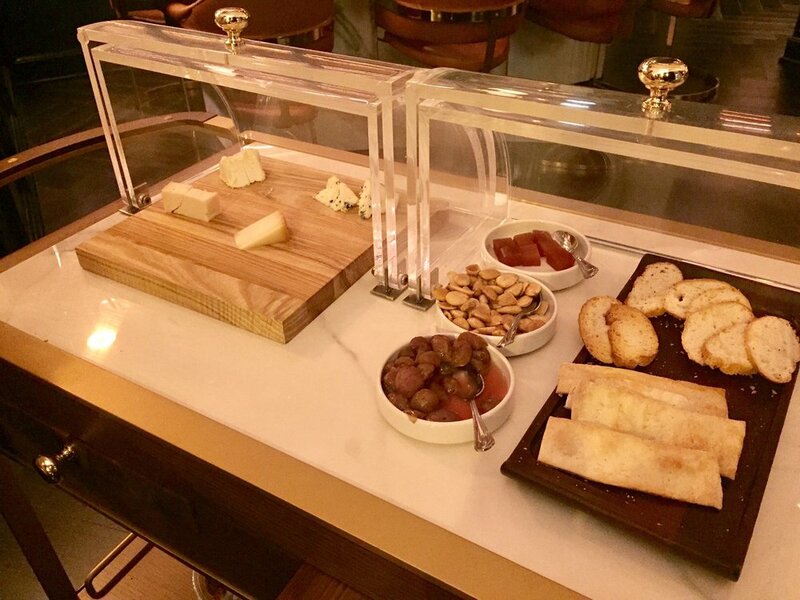 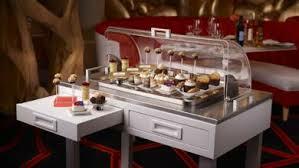 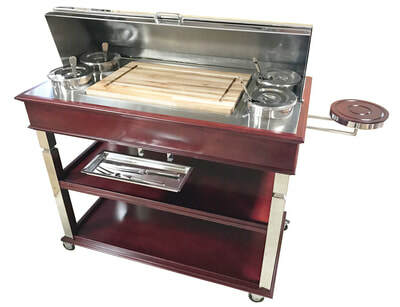 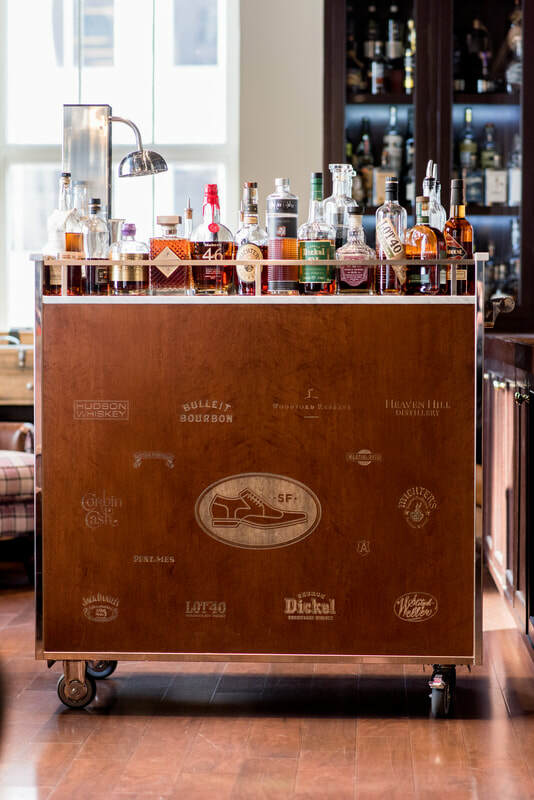 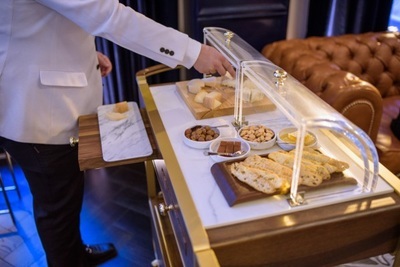 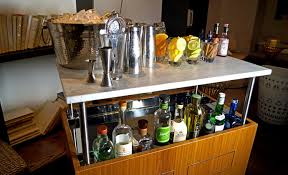 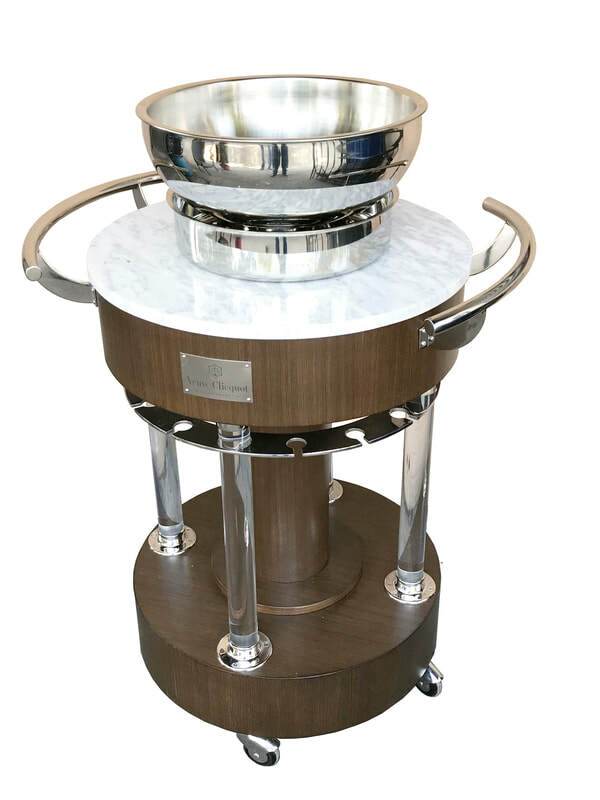 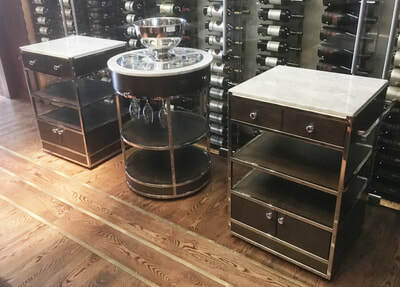 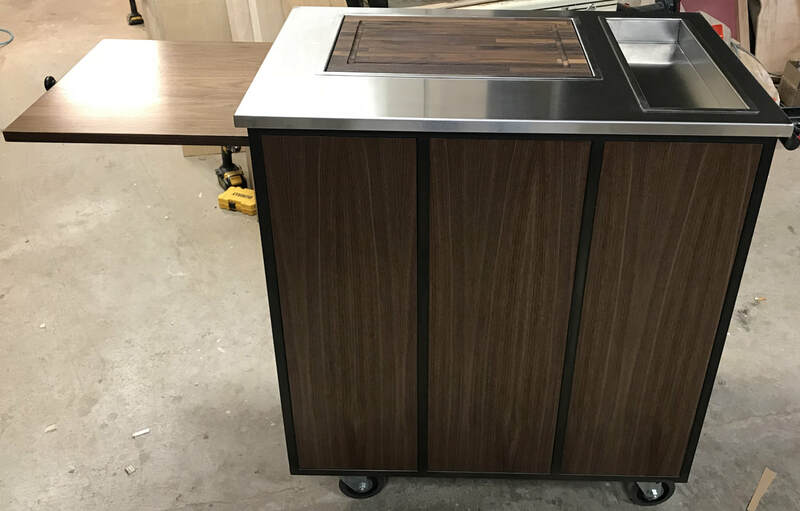 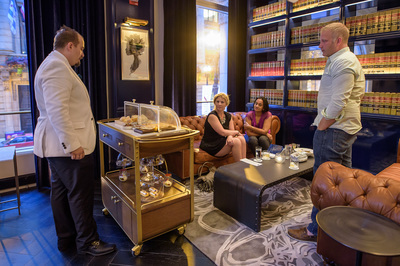 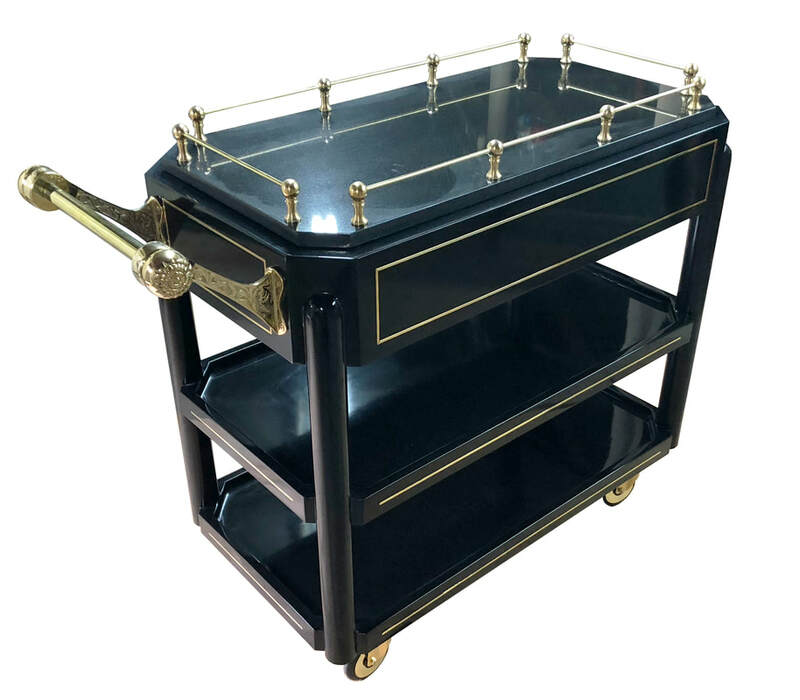 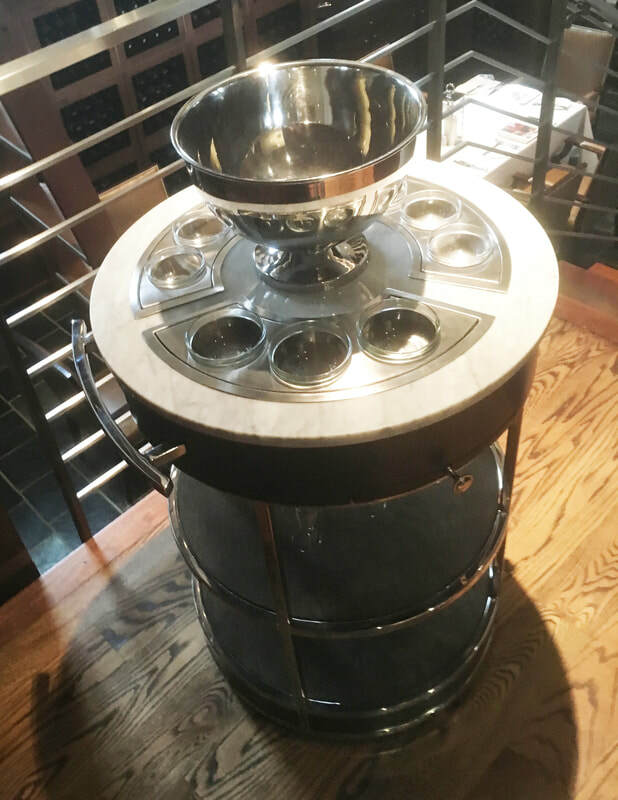 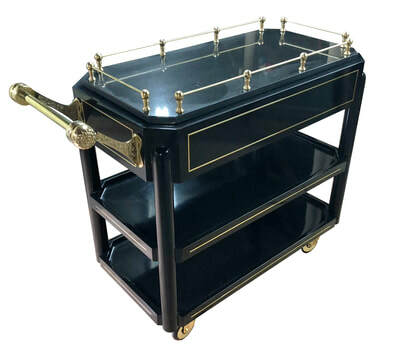 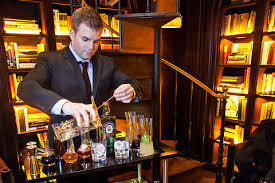 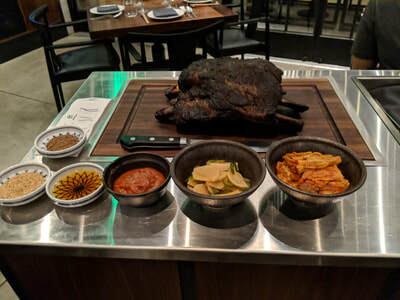 We specialize in liquor carts, flambé carts, cheese carts, caviar carts, dessert carts, guerridons carts, carving stations,humidor carts, pastry carts and more! 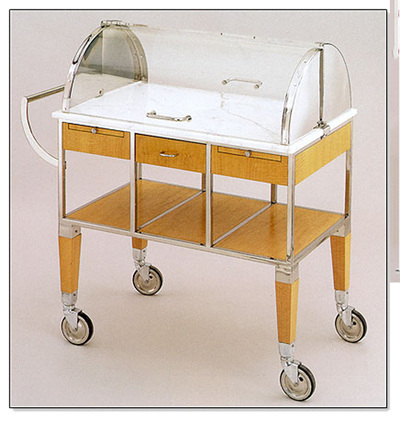 To request a quote or to set up a design meeting to discuss your cart idea, use the form at the bottom of this page. 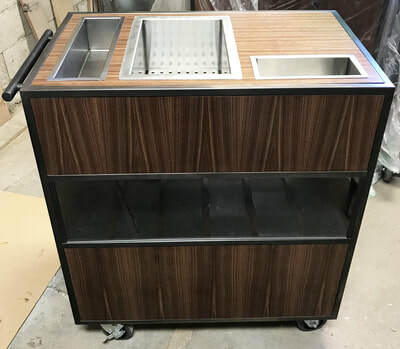 Want us to design you a service cart? Want to mimic an existing design? Not sure how to proceed? 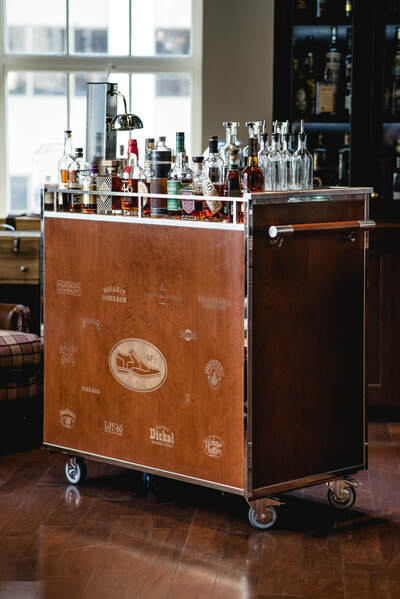 Our family has been been building some of the finest carts in the world for nearly 40 years and we're confident we can deliver the perfect solution for your business. We've recently brought flambé back to Manhattan at American Cut® and we've got some really fresh ideas in the pipeline. 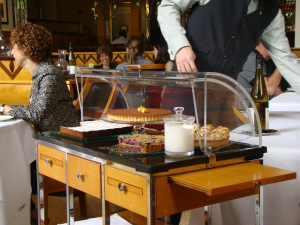 Use the contact form to the right to set up a meeting or to outline the details of your request. We look forward to hearing from you!